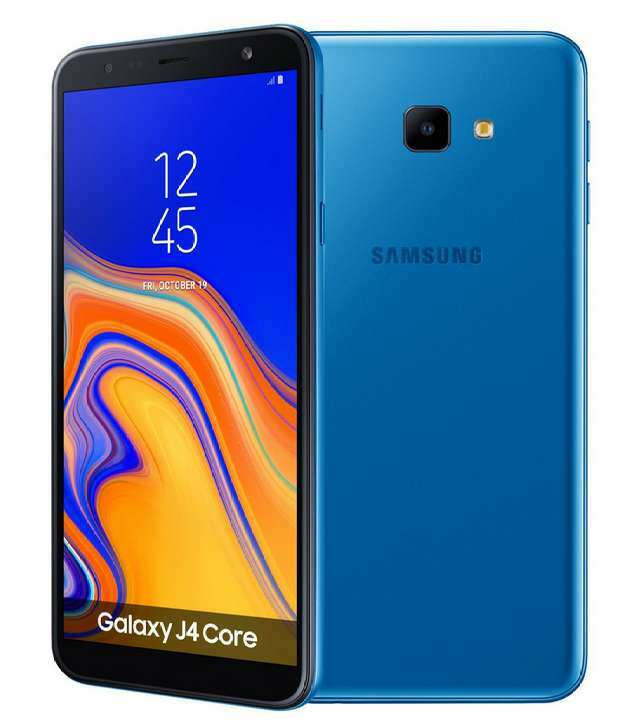 Samsung in August introduced its first Android Go edition smartphone in some part of Asia markets, now the company has launched its second Android Go powered Galaxy smartphone dubbed Galaxy J4 Core (SM-J410F). It comes with a larger 6-inch HD+ display when compared with the 5-inch qHD display that the former boasted of. The phone is driven by an unspecified quad-core processor running at a speed of 1.4GHz, paired with 1GB of RAM and 16GB of expandable storage. At the rear, the Galaxy J4 Core accommodated an 8MP f/2.2 camera with a LED flash, while it housed a 5MP camera at the front, also accompanied by a LED flash. It lacked advanced security features such as fingerprint sensor and face unlock. The usual connectivity are present, including 4G VoLTE and WiFi. Power is drawn from a 3,300mAh battery. There are no details regarding its pricing and availability yet, but you will be able to purchase one in either Blue, Black or Gold colors when it go on sale.